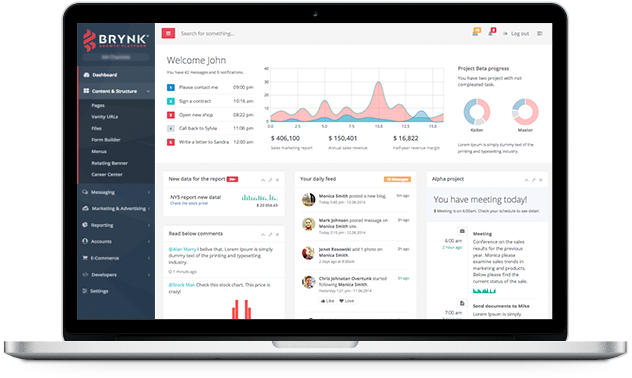 Brynk® Platform - your all-in-one dashboard for Member & Donor Management, Event Management and Online Payments. Let us handle the nitty gritty tasks. Avoid the headache of trying to integrate multiple services and solutions yourself. There is also no need to worry about dns, databases, ftp, platform and security updates, data backup etc ... we have THE solution. Built-in drag-and-drop website editor allowing one to make changes to the website easily and quickly. Built-in drag-and-drop email marketing platform allowing you to reach out to your members and donors. All the tools you need to accept mobile and online payments. We offer the best rates in town. 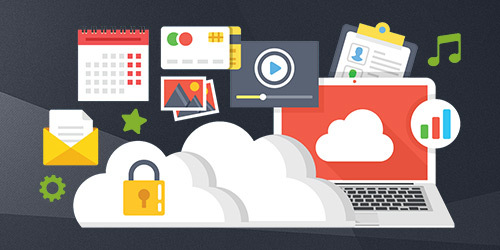 Built-in Digital Trooper® anti-hacker protection keeps your website and user data secure. Our membership functionality includes a Member Account Manager, SubGroups, Mailing List Integration, Member Registration & Renewals Online, Printable and Email Receipts, Member Directory with Mini and Full Profiles, Automated Recurring Payments and even Accept Member Payments with our FREE credit card swiper. Our donor functionality includes a Donor Account Manager, SubGroups, a Text-to-Give number, Mailing List Integration, Printable and Email Receipts, Automated Recurring Payments and even Accept Donor Payments with our FREE credit card swiper. Our event functionality includes Event Posting, Calendar Integration, Online Event Registration(FREE or paid), Seat Limits, Registrant/Attendee Database Manager, Attendance Tracking, Printable and Email Receipts and even Accept Payments with our FREE credit card swiper. Tools are included to manage tables, table hosts and guest lists, whether it's 20 tables or 200 tables, our management tools are scalable. Our online store functionality includes a Product Manager with variant options, Shopping Cart, Wishlists, Inventory Manager, Order Manager, Auto Email Responders, Client Manager, Invoice Manager, Tax calculations by state, Real Time Carrier Shipping, Label Printing, Product Discounts, Mailing List Integration and much more. All content on the website is editable and new pages can be created easily, allowing for the website to grow as your organization does. Accept donor payments using our text-to-give service. We have the best credit card rates in town. Give your members and donors another way to access your events, communications, content, payment/donation pages, their member data and pretty much anything else ... just add our branded mobile app service. Grow your website as your organization grows. Start small and grow your website and membership/donor database as needed. Our platform features Automatic Collaborative Updates, so all of our clients have acccess to the latest and greatest features. Your payment data is safe with us. Built-in Digital Trooper® anti-hacker monitoring and prevention comes with every website, keeping your data safe 24x7x365. Specifically designed to keep stored credit card and bank account data safe, protecting sensitive account numbers and reducing the risk of compromised data. "From our perspective, brynk® is a jewel in the industry. 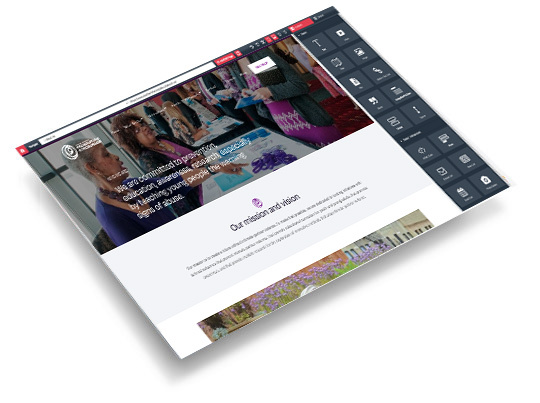 They will impress you with every aspect of site design, implementation, security and customer service. Their do-it-yourself solution to site changes completely demystifies the process and will save you time and money. What a load off! It's like being on a tight rope and finally having a net." Usually they simply say, "You Rock!" "It is hard to find service and support delivered to the standard that brynk® delivers, at such a fair and reasonable price. Helpful is a understatement, nothing is too much trouble and brynk® really has a great empathy for small businesses. I would highly recommend brynk® services." "brynk® have been a life saver! We were struggling with another service provider and did an extensive nationwide search for a new one. Since transitioning to brynk®, we have had no problems, not one. Organization members are able to register and pay for events without incident, pages load in lightning speed, and on top of that, quick response time for questions to support." 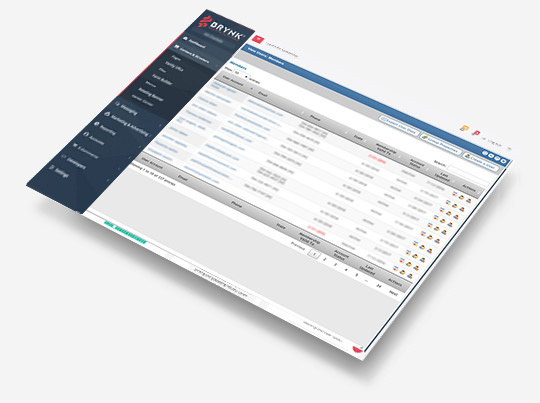 "Having experienced repeated website hacking at other service providers, I've now been with brynk® for 8 years and have experienced ZERO security issues. I can sleep soundly at night knowing my data is safe and that someone has my back." Start small, grow as needed. * Volume discounts are available.